Ursula Walter was baptized/christened on 13 November 1830 in Machtolsheim, Württemberg. She was born on 13 November 1830 in Machtolsheim, Württemberg. She was known as Lucy. She was confirmed in 1846 at Machtolsheim, Württemberg. Dorothea Walter and Ursula Walter arrived in the Port of New York on 15 April 1853, having departed London on 7 March, aboard the packet ship Northumberland, carrying merchandise and 340 passengers to agents Griswold, Morgan & Wiley. She married Konrad Stähle, son of Georg Friedrich Stähle and Catharina Wegst, circa 1853. Konrad Stähle and Ursula Walter appeared in the US federal census of 1 June 1860 in Niagara Falls, Niagara County, New York, just a few households away from Lucy's sisters Anna Weiler and Barbara "Baumel.". Other members of the household included Margaret Stahle, Catharine Stahle and Johanna Stahle. She was a sponsor at the baptism/christening of Christian Zeifang on 15 April 1863 at Zion Lutheran Church in Niagara, Niagara Falls, New York. She was a sponsor at the baptism/christening of Catherine Zeifang on 10 July 1864 at Zion Lutheran Church in Niagara, New York. She was a sponsor at the baptism/christening of Ursula Zeifang on 7 October 1866 at Zion Lutheran Church in Niagara, New York. She was a sponsor at the baptism/christening of Heinrich Valentin Weiler on 21 February 1869 at Zion Lutheran Church in Niagara Falls, Niagara County, New York. Konrad Stähle and Ursula Walter, appeared in the US federal census of 1 June 1870 in Suspension Bridge, Niagara County, New York. Other members of the household included Margaret Stahle, Catharine Stahle, Johanna Stahle, Fred Stahle, Conrad Stahle, Barbara Stahle and Simon Andreas Stahle. She was a sponsor at the baptism/christening of Johann Georg Weiler on 21 January 1872 at Zion Lutheran Church in Niagara Falls, New York. Konrad Stähle and Ursula Walter appeared in the US federal census of 1 June 1880 in Niagara, Niagara Falls, New York. Other members of the household included Conrad Stahle, Barbara Stahle, Simon Andreas Stahle, Anna Stahle and Karl William Balthasar Stahle. Ursula Walter became a widow at the 21 February 1885 death of her husband Konrad Stähle. Ursula Walter appeared in the New York state census of 16 February 1892 in Niagara, Niagara County, New York. Other members of the household included Simon Andreas Stahle. Ursula Walter appeared in the US federal census of 1 June 1900 in Niagara Falls, Niagara County, New York, at 1628 Lockport Street. The following appeared on 15 November 1905 in The Niagara Falls Gazette: A merry party gathered at the home of Mrs. Wm. Weber on Monday to celebrate the 75th birthday of her mother, Mrs. G. Stahle. The out-of-town guests were Mrs. Jas. Hollenbeck and daughter Hazel, Miss Gertrude Cleghorn of East High street, Lockport, and Mrs. Robert Fitzgerald of Buffalo. 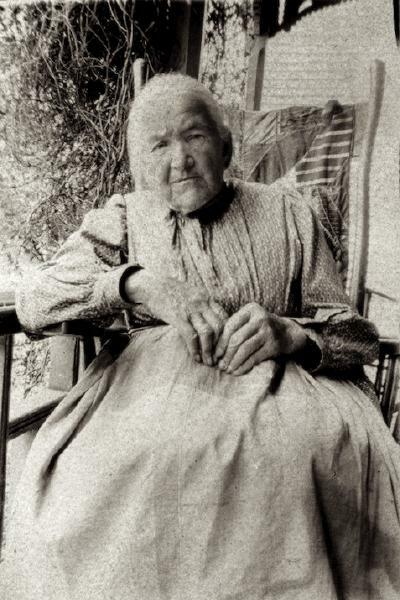 Ursula Walter died on 9 April 1913 at age 82 in Niagara Falls, Niagara County, New York, at 729 Willow Avenue.